My VitalityPress blog items will — as of this very second — automatically be posted to my accounts on Twitter, Facebook and LinkedIn. In a sense, and if the technology doesn't glitch up, my items will be replicated, will be replicated, will be replicated like an old mimeograph machine gone bonkers, gone bonkers, gone bonkers. That, my friends and neighbors, is what's called progress! Ergo, if you want to read these items a second time, or a third, or a fourth, check 'em out anywhere. 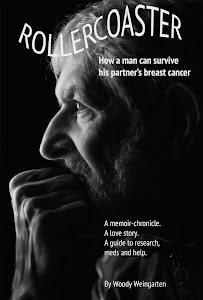 Also, in case you didn't hear me the first 3,869 times, please read "Rollercoaster: How a man can survive his partner's breast cancer." 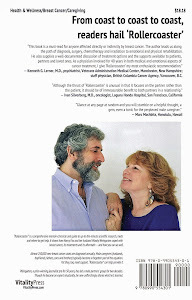 It's available through your favorite bookstore, at Amazon and about a zillion other places. 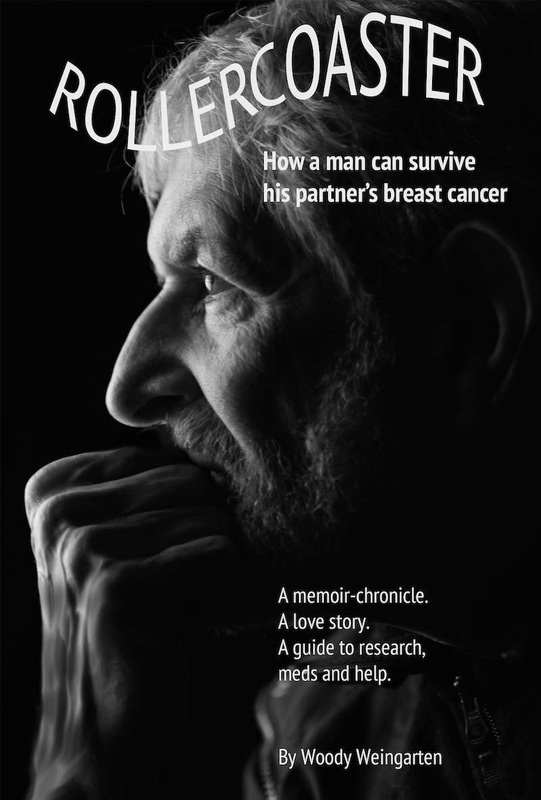 The book is aimed at male caregivers, but women with the disease can also learn a lot — especially what the men in their lives may experience as a sidekick to someone battling a serious illness.